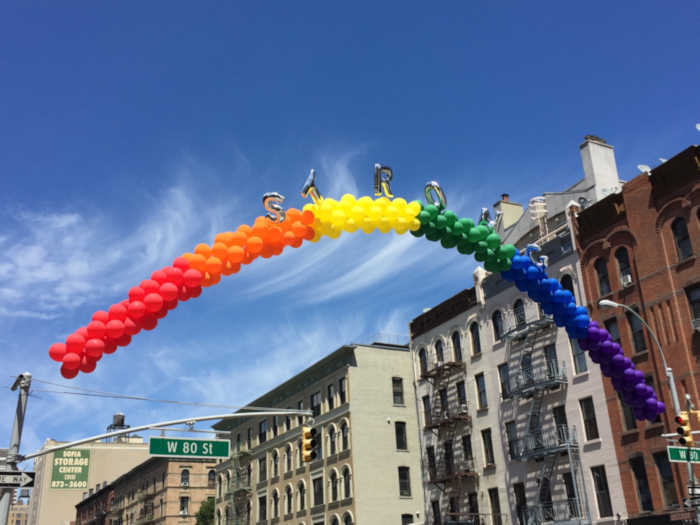 UPPER WEST SIDE, Manhattan (WABC) -- The Upper West Side is showing its support for the victims of the Orlando nightclub mass shooting with a rainbow balloon arch. 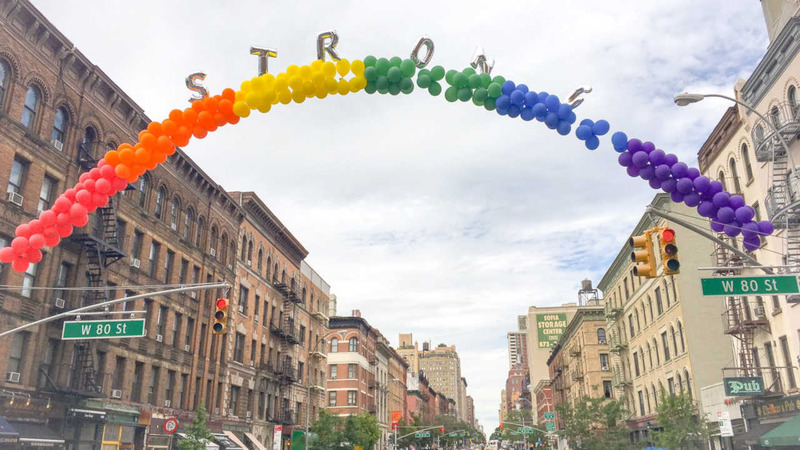 The arch, located at 80th St. and Amsterdam Ave. is topped with balloons that spell 'STRONG'. The balloons were set up by a local balloon shop.